On January 30, 2019, at about 1:40 PM, Deputies with the Montgomery County Sheriff’s Office were dispatched to the FedEx store located at 1640 Lake Woodlands Drive in Spring, Texas in reference to a Forgery in Progress. The reporting employee notified dispatch the male was a suspect in another recent forgery that had occurred at the same FedEx store and was attempting to pick up an envelope addressed to another person. When the responding Deputy arrived at the store, he noticed a male matching the description provided by the FedEx employee, holding what was immediately apparent as a counterfeit Texas Identification Card. 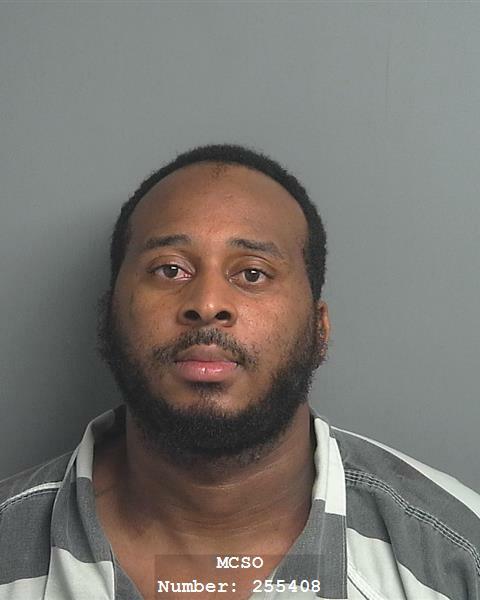 The male, later identified as Cedric Gilbert (11/24/86), began shuffling toward the door, stating he wanted to go outside after being told multiple times to stay inside. Cedric refused to stop and began kicking at and pulling away from the Deputy as he continued attempting to exit the store. Cedric fell out of the door and onto the sidewalk, pulling the Deputy down with him. While detaining Cedric, the Deputy received a non-debilitating injury. Upon further investigation, the Deputy found Cedric to be in possession of the fraudulent identification card, an envelope containing a credit card which was not issued to him, two fraudulent social security numbers, and two debit cards, which did not belong to him. Cedric was placed into custody and charged with Assault on a Peace Officer and Forgery of a Government Document, both 3rd Degree Felonies. Due to the quick response of the Deputy, any further potential victims’ identities can remain safe.